This year I visited for the first time the in Germany quite popular re:publica conference in Berlin. 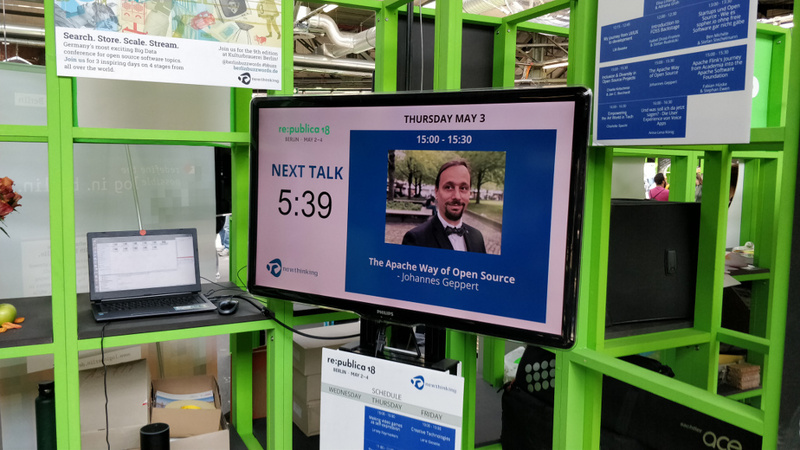 I was invited by Newthinking as a speaker to give a short talk about The Apache Software Foundation and how Open Source projects are running in the Foundation on there Exhibition Programme. If you are interested in this topic, I just published the slides for this presentation slideshare.